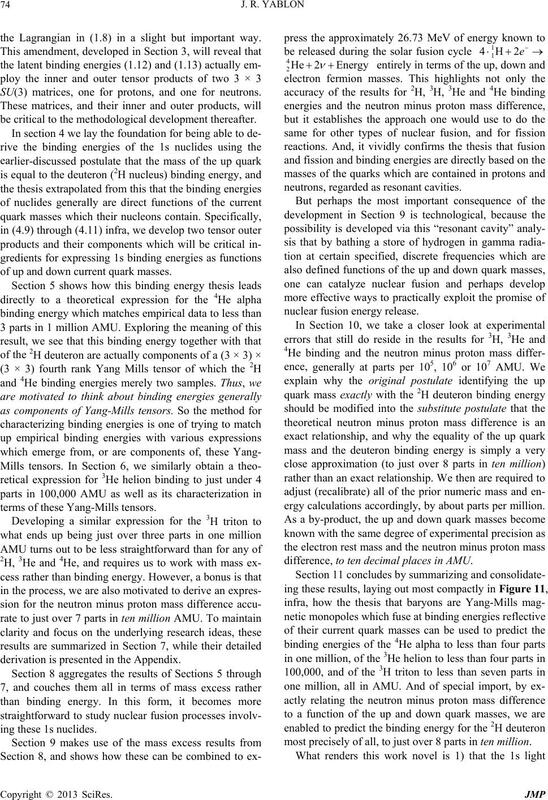 reviewed in Section 9, these results may lay the foundation for more easily catalyzing nuclear fusion energy release. baryons, and especially, as protons and neutrons. everywhere and anywhere that matter exists. 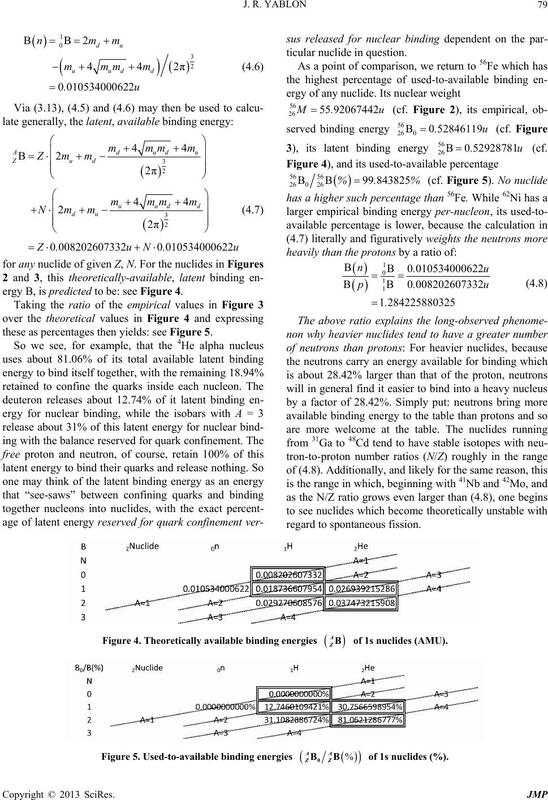 (14) of Ohanian’s  for the radial behavior of fermions. of , see specifically (3.9) and (3.10) therein. 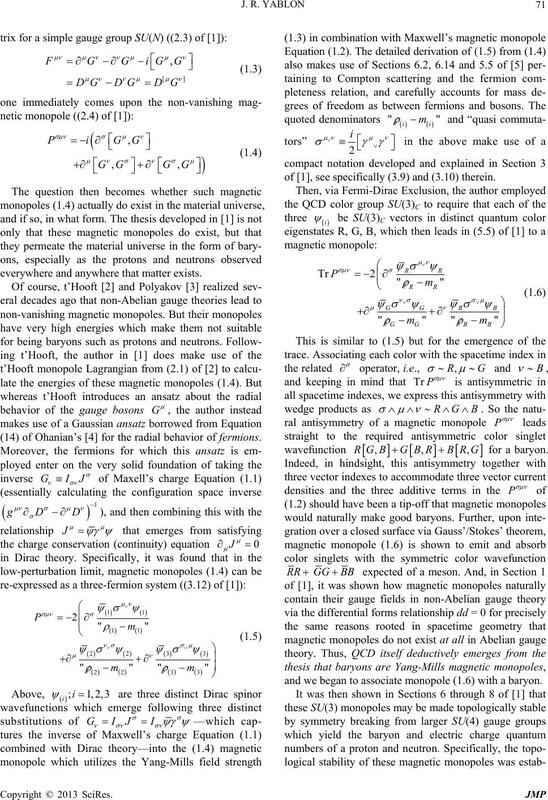 and we began to associate monopole (1.6) with a baryon. viewed in detail in Section 8 of . logically stable protons and neutrons. remarkable concurrence with empirical data. crossroads of fission, fusion and confinement. Figure 1. The empirical binding ener gy per nuc leon of various nuclides. 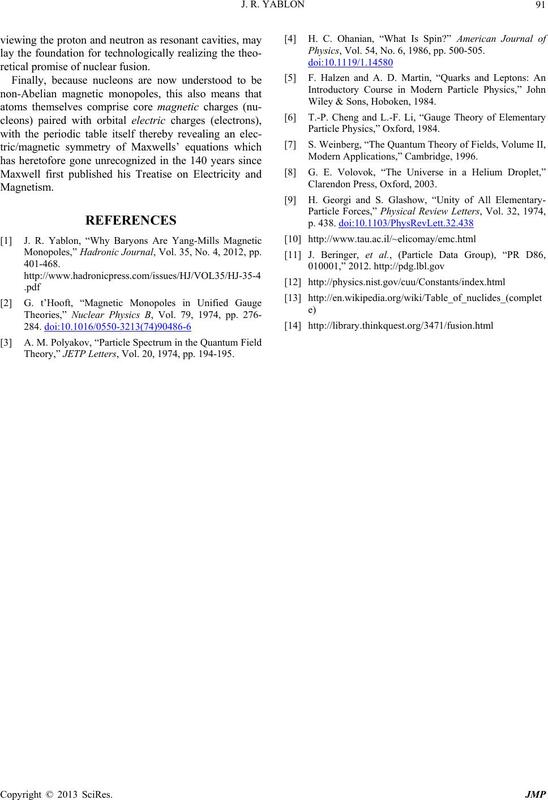 gether unquestionable foundational physics principles. 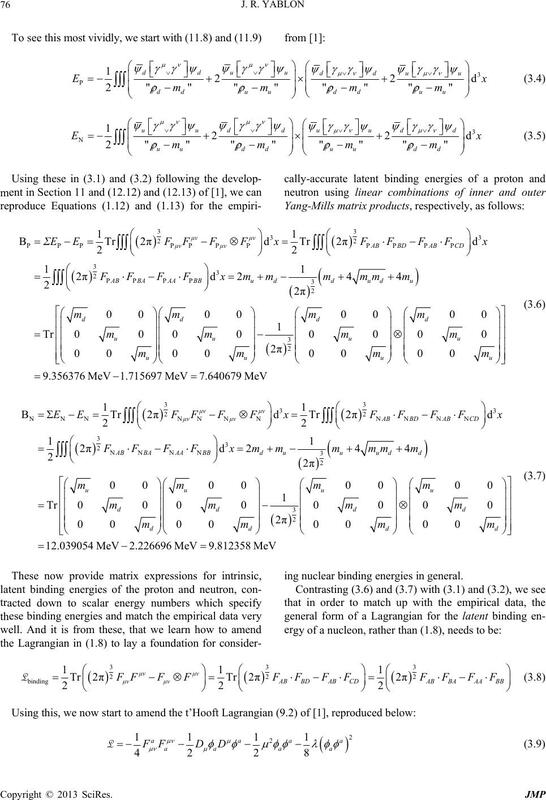 the Lagrangian in (1.8) in a slight but important way. SU(3) matrices, one for protons, and one for neutrons. be critical to the methodological development thereafter. 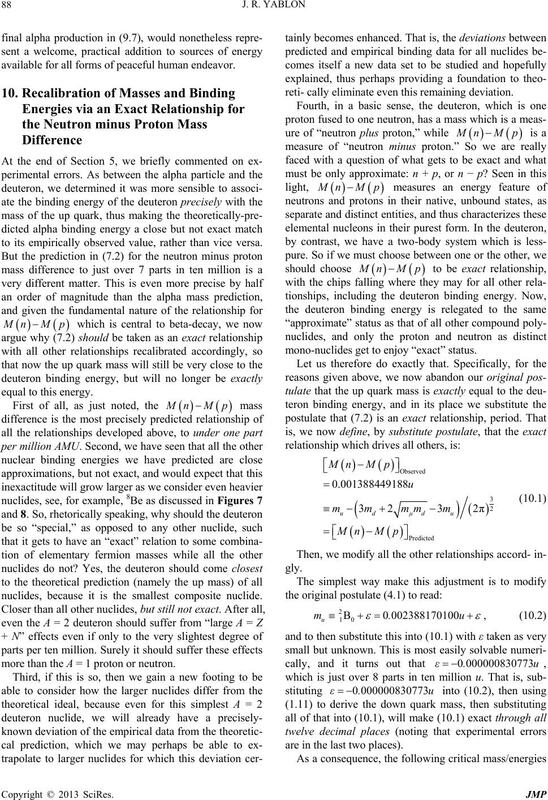 of up and down current quark masses. 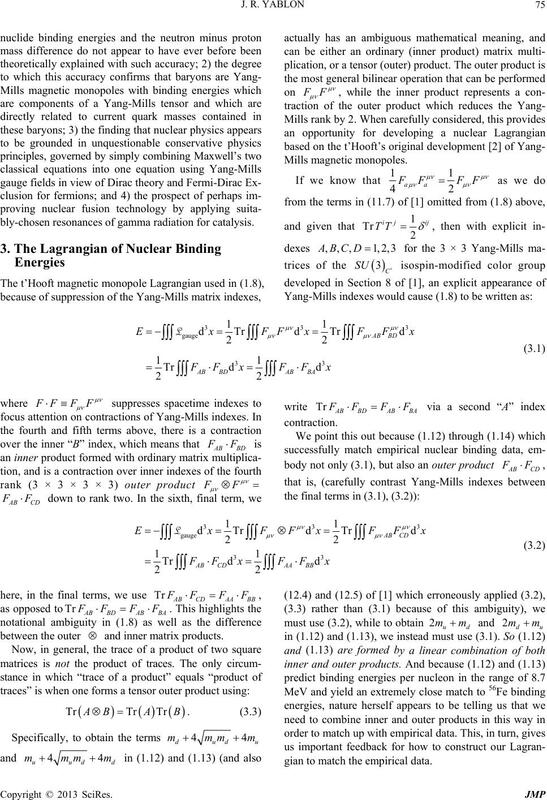 terms of these Yang-Mills tensors. derivation is presented in the Appendix. neutrons, regarded as resonant cavities. 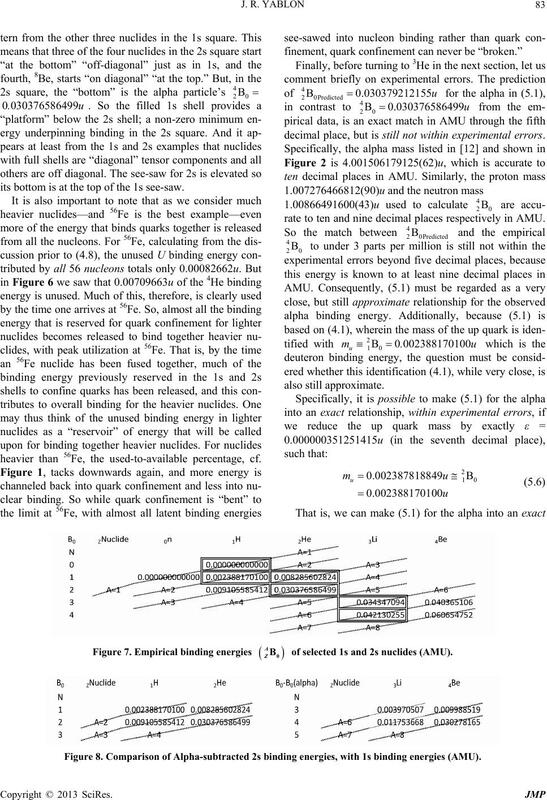 ergy calculations accordingly, by about parts per million. difference, to ten decimal places in AMU. most precisely of all, to just over 8 parts in ten million. bly-chosen resonances of gamma radiation for catalysis. gian to match the empirical data. 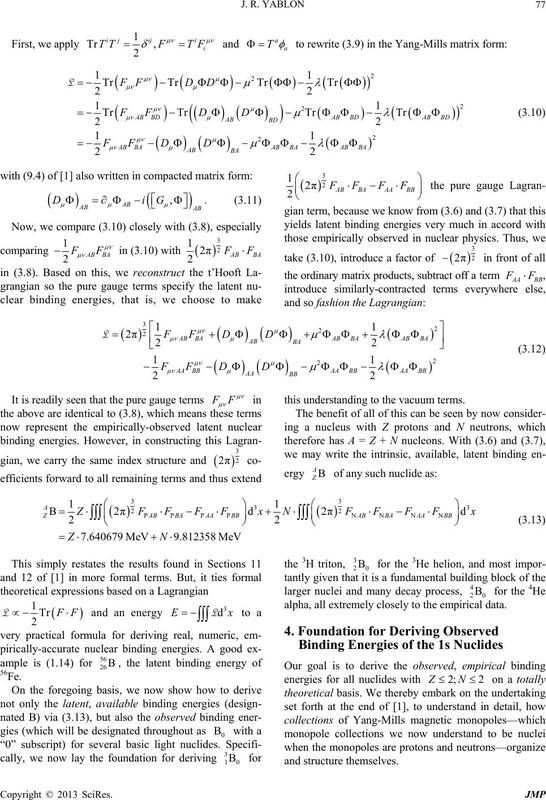 ing nuclear binding energies in general. this understanding to the vacuum terms. B will omit this subscript). at energies reflective of their current quark masses. see, e.g., (1.12) and (1.13) in which this first arises. ZM of 1s nuclides (AMU). B of 1s nuclides (AMU). ergy B, is predicted to be: see Figure 4.
these as percentages then yields: see Figure 5. ZB of 1s nuclides (AM eU). 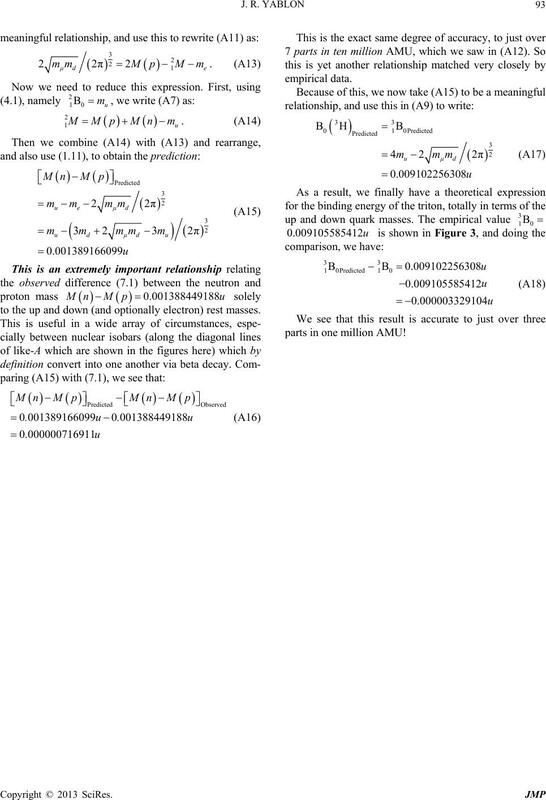 es are: see Figure 6.
totally theoretical grounds. We start with the alpha, 4He. theoretical reasons why this may ma. ZU of 1s nuclides (AMU). ing, or hold in reserve for quark confinement. be arrived at closely using only the foregoing ingredients. 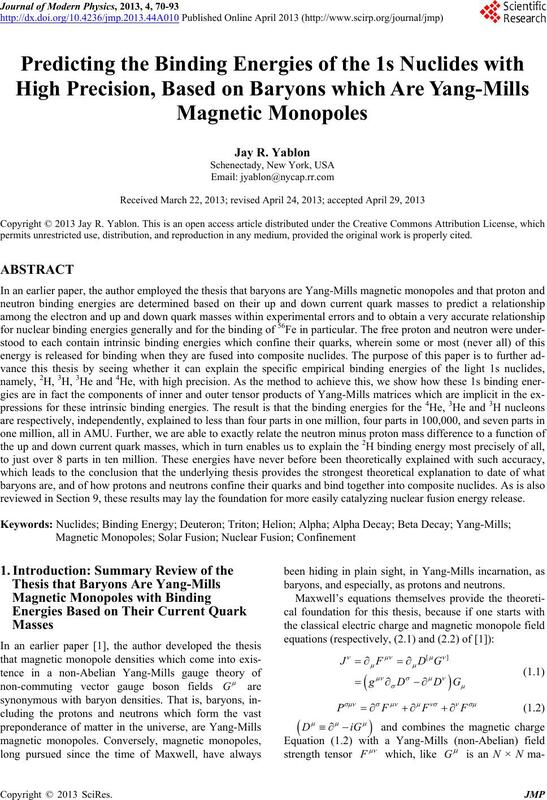 yields the alpha binding energy to 2.26 parts per million. 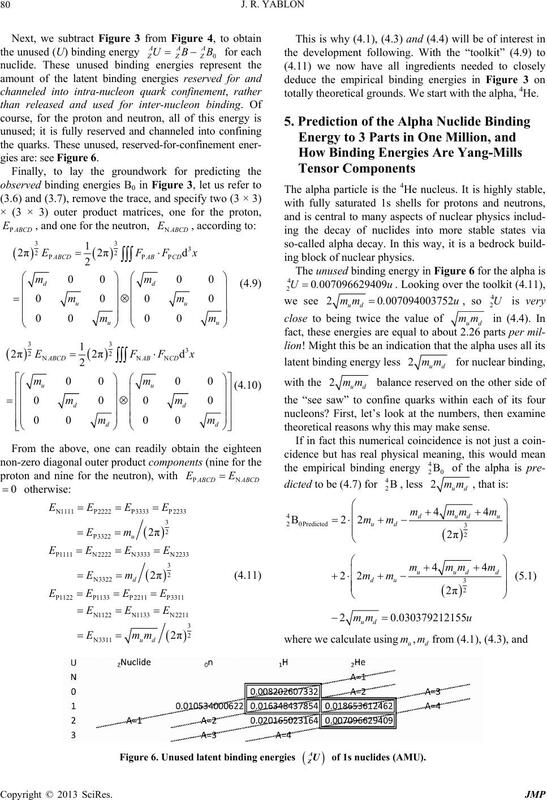 discerned for how each nuclide fits into this tensor. but also under pn interchange. ide binding energies are components. 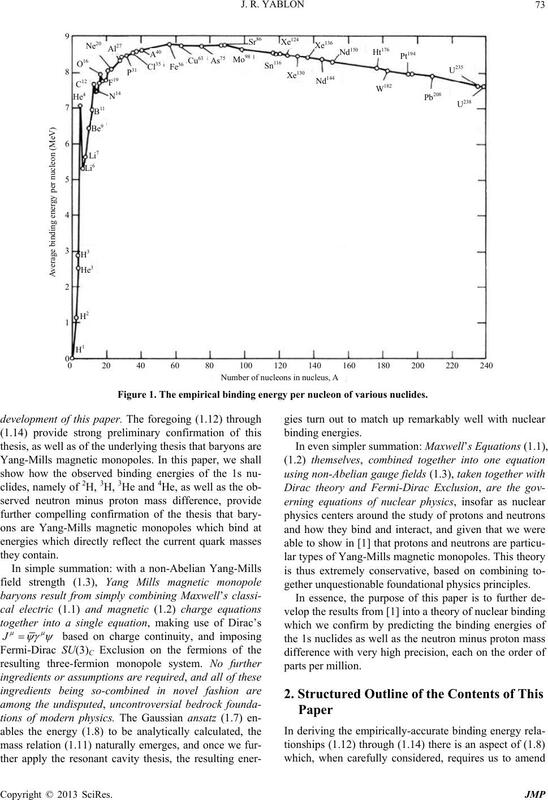 known “per-nucleon” binding graph as Figure 1 above. the quarks in a type of nuclear see-saw. balance is held in reserve to confine the quarks. ahead at some heavier nuclides, namely, 3Li and 4Be. 4Be before we must make an incursion into the 2p shell. He. The result of this exercise is in Figure 8 below. nderpinning binding in the 2e. decimal place, but is still not within experimental errors. rate to ten and nine decimal places respectively in AMU. its bottom is at the top of the 1s see-saw. heavier than 56Fe, the used-to-available percentage, cf. B of selected 1s and 2s nuclides (AMU). bly 22) diagonal component of the other matrix in (4.9). 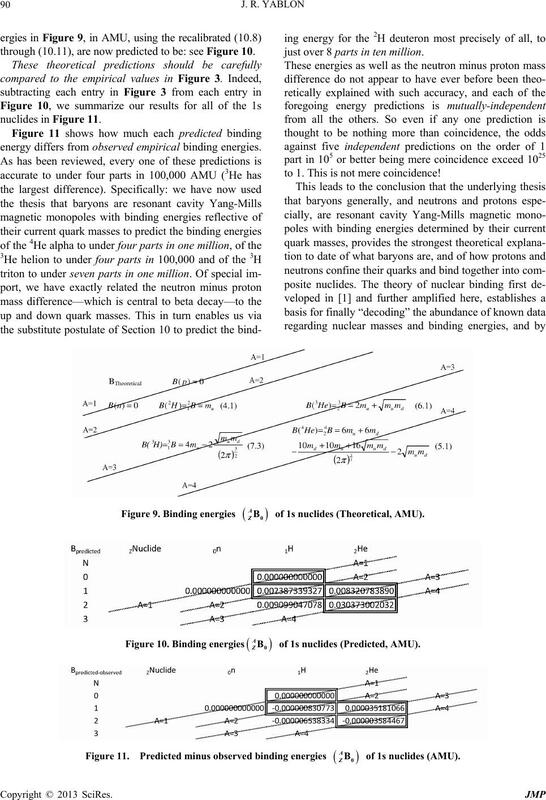 in the Yang-Mills tensor for nuclear binding. we have done so far. Second, is to look at mass excess. 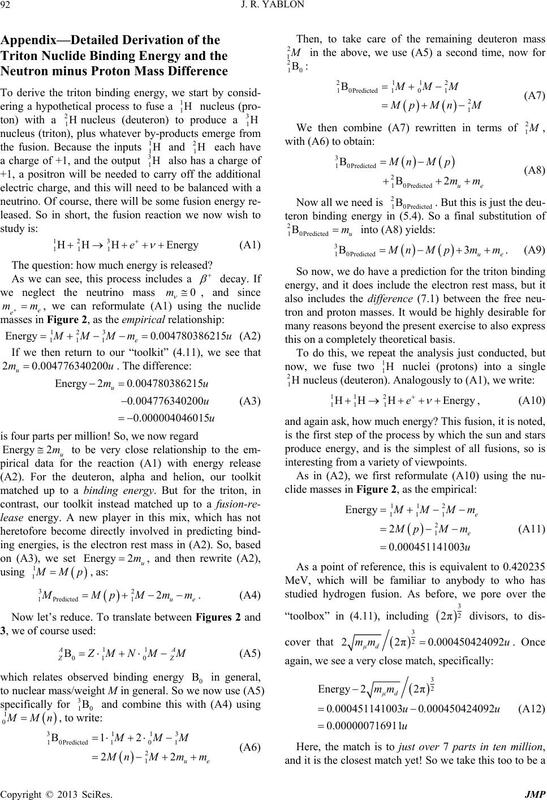 p. u, see Figure 2.
or just over 3 parts per million. the “1s square” and start to discern the wider patterns. 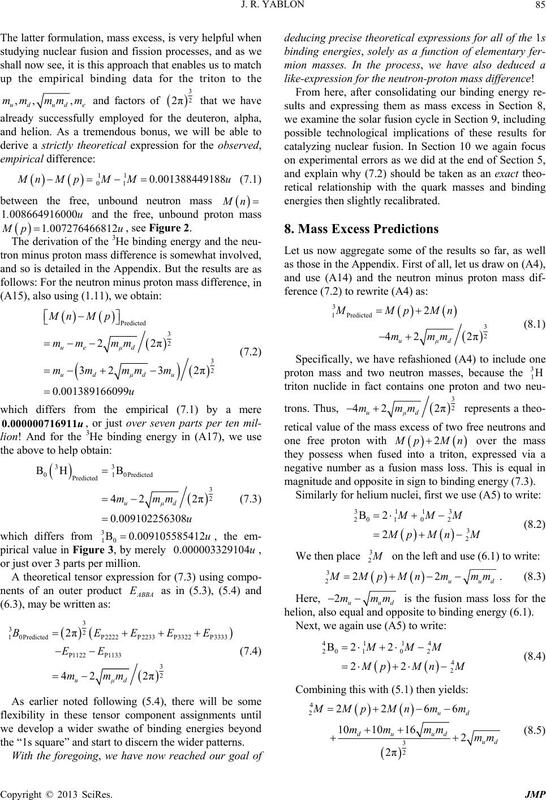 like-expression for theutron-proton mass difference! magnitude and opposite in sign to binding energy (7.3). helion, also equal and opposite to binding energy (6.1). ing results to theoretically examine the solar fusion cycle. equal and opposite the bindingy (4.1). m2 worth of energy as well. 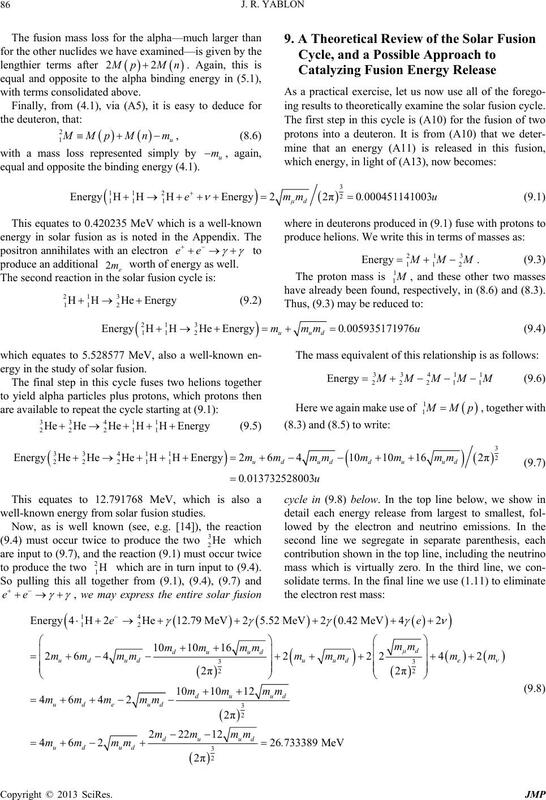 ergy in the study of solar fusion. 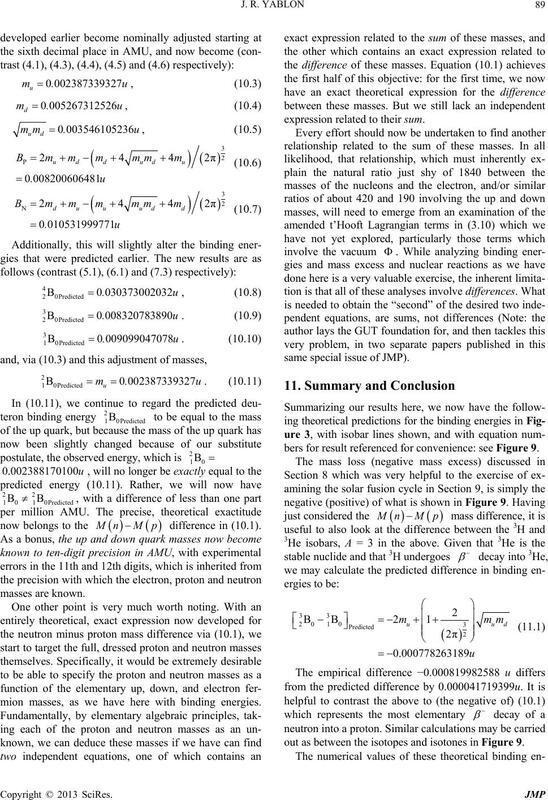 well-known energy from solar fusion studies. Now, as is well known (see, e.
1H which are in turn input to (9.4). 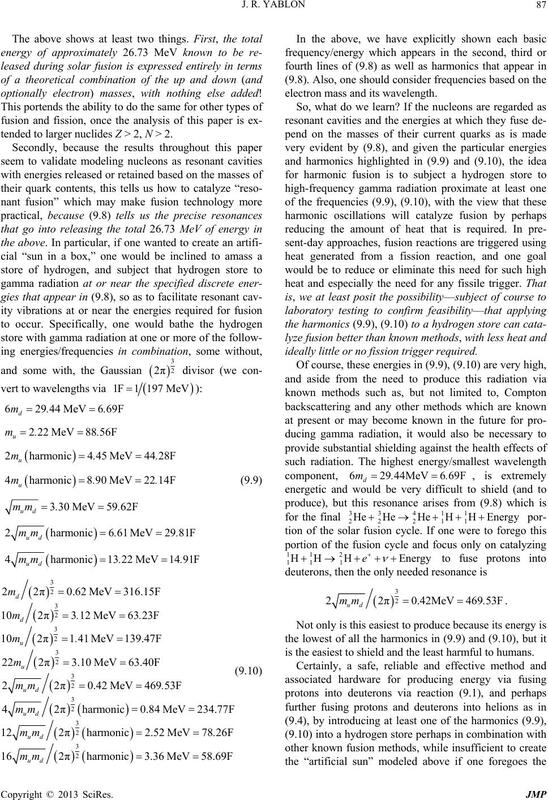 nded to larger nuclides Z > 2, N > 2.
ideally little or no fission trigger required. is the easiest to shield and the least harmful to humans. available for all forms of peaceful human endeavor. to its empirically observed value, rather than vice versa. nuclides, because it is the smallest composite nuclide. more than the A = 1 proton or neutron. reti- cally eliminate even this remaining deviation. mono-nuclides get to enjoy “exact” status. are in the last two places). 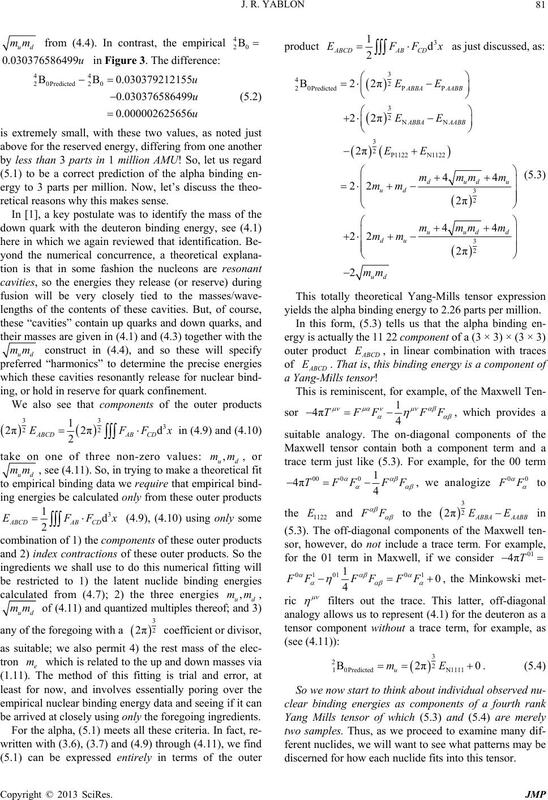 mion masses, as we have here with binding energies. expression related to their sum. 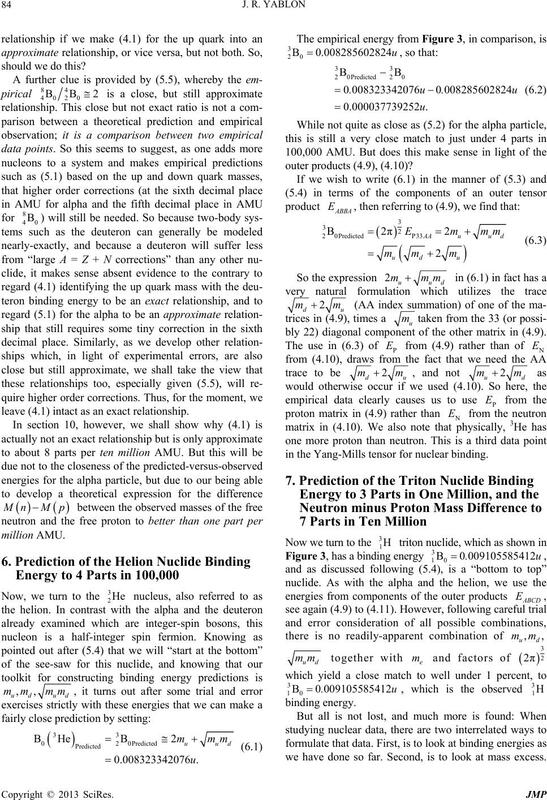 same special issue of JMP). just over 8 parts in ten million. 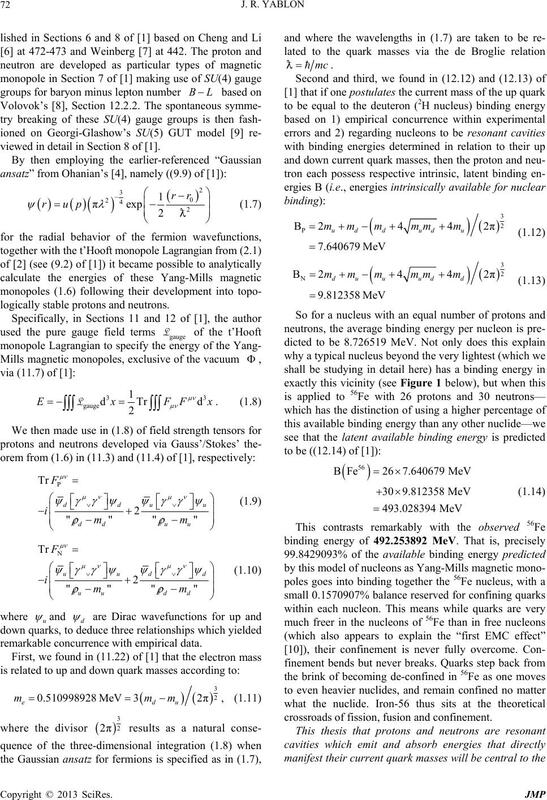 through (10.11), are noed to be: see Figure 10.
energy differs from observed empirical binding energies. to 1. This is not mere coincidence! Bf 1s nuclides (Predicted, AMU). 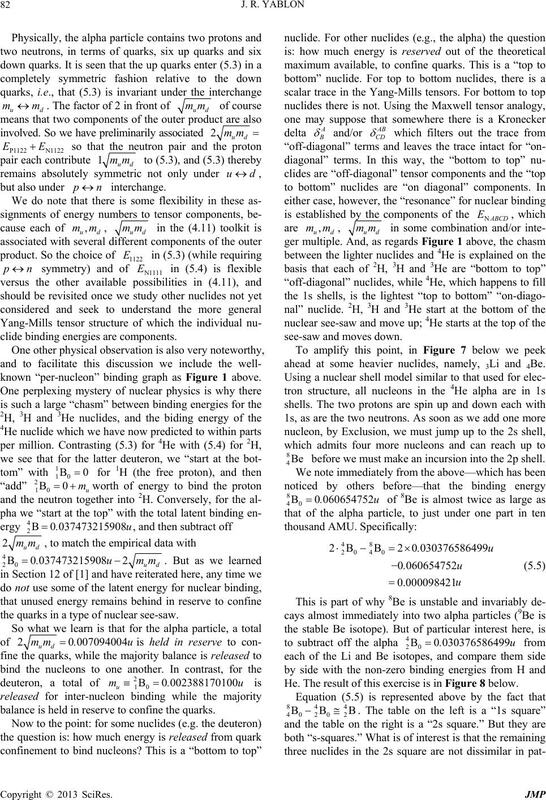 Monopoles,” Hadronic Journal, Vol. 35, No. 4, 2012, pp. retical promise of nuclear fusion. Physics, Vol. 54, No. 6, 1986, pp. 500-505. Wiley & Sons, Hoboken, 1984. Theory,” JETP Letters, Vol. 20, 1974, pp. 194-195. The question: how much energy is released? this on a completely theoretical basis. interesting from a variety of viewpoints. 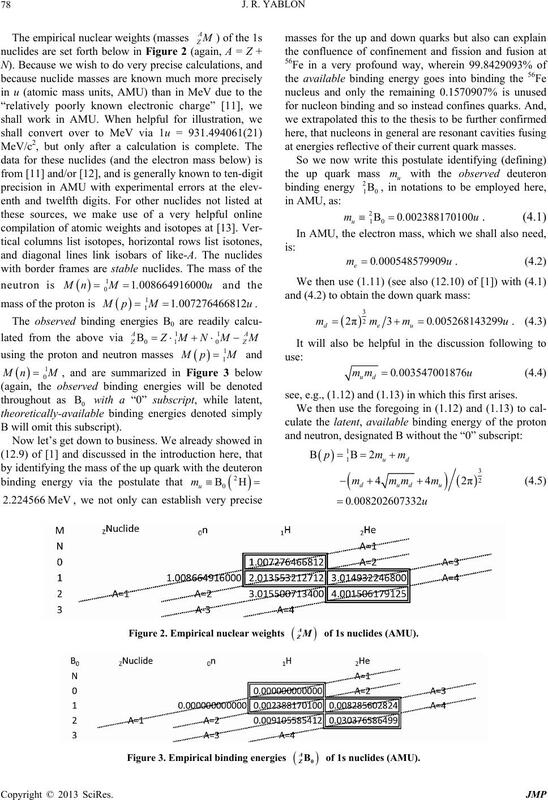 to the up and down (and optionally electron) rest masses.